‘A dazzling, psychologically astute, scientifically engaged novel about love, loss, and the mysteries of the mind’ – David Ebershoff, author of The Danish Girl. One summer night, beneath the Perseid meteor shower, seventeen-year-old Oliver Loving’s hand makes a first furtive journey across a Navajo picnic blanket towards his classmate Rebekkah Sterling’s. A few months later, Hector Espina enters Bliss County Day School’s gymnasium during homecoming and shoulders a hunting rifle. The thirty-five rounds he fires cut a levelling swathe through the past and future of Oliver, his family, and the entire population of Bliss, Texas. For the next nine years, Oliver is confined to a hospital bed. Conscious but totally paralysed, he plumbs the depths of his own imagination, a twilit netherworld of myth, in search of meaning. Eve, his adoring and indomitable mother, holds a solemn, lonesome vigil. 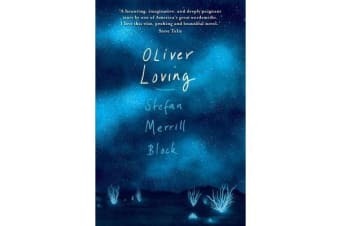 Vulnerable younger brother Charlie flees to New York where he desperately attempts to resurrect Oliver’s consciousness using nothing but three weather-beaten journals full of unfinished poetry. Jed, Oliver’s father, seems content to drink himself to death in a burnt out shack in the shadow of a resort hotel built on the land that is his birthright. But with the arrival of Professor McTeague from El Paso, towing along a new trailer-bound MRI machine and a revelation that Oliver’s brain death may not be as complete as previously thought, a reckoning comes to Bliss and to the Loving family. Long-time grieving parent and newly minted experimental speech therapist Margot Strout descends, determined to make sure that Oliver reveals the truth about what happened that November night in this life or the next. What she finds, or claims to find, may prove the Lovings’ salvation or push them forever into the outer darkness.